A man was killed when he crashed into the rear of a parked semi-truck on southbound Interstate 5 in Federal Way, according to the Washington State Patrol. The incident occurred just south of State Route 18 around 8 a.m.
A Kia Rio apparently left the right travel lane and rear ended the semi that was pulled over and parked on the side of the road. The driver of the semi-truck told reporters he was pulled over onto the shoulder to charge his phone and access his log book. Reports say that the semi-truck was legally parked when the vehicle rear ended it. The semi driver called 9-1-1 to report the crash. Images from the scene show the severely damaged car well beneath the semi's trailer. It's unclear what caused the driver — a 24-year-old Lakewood man — to lose control and hit the semi. What Happens If A Semi-Truck Was Illegally Or Negligently Parked? Every year, people are involved in serious accidents with semi trucks on American roadways. Unfortunately, many of these collisions could be avoided. If someone was injured or killed in a rear-end collision involving a semi truck that was illegally or negligently parked on the side of the road, they may be able to pursue a claim for damages. In other words, the family has the right to file a lawsuit to obtain compensation and justice. Last year, attorney Chris Davis of Seattle-based Davis Law Group, P.S., was contacted by the sole survivor of a deadly collision involving an illegally parked semi trailer. Three Jackson High School (Mill Creek) students were killed when their vehicle struck a parked semi trailer in on Alderwood Mall Parkway in Lynnwood. The trailer involved in the crash was parked on the wrong side of the road and pointed in the wrong direction, against traffic. 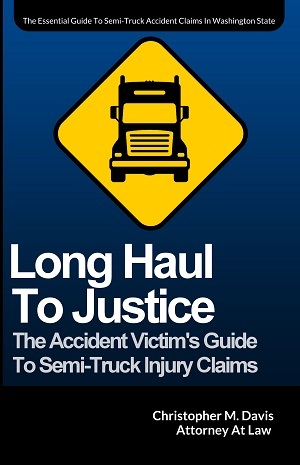 How do you know if a semi truck parked or stopped in a negligent fashion? There's many possible scenarios in which this is possible. If the truck was pulled onto the shoulder of the highway, but the trailer was still partially in traffic, the semi-truck driver would likely be found at least partially liable for the accident. States and municipalities have designated areas for truckers to pull off the road and eat and sleep. Just like any other vehicle, semi trucks are allowed to park on the shoulder of the highway or use the emergency lane, but only for actual emergencies. If the trucker was parked on the shoulder just to eat a snack, take a nap or charge their phone — and someone crashed into the back of that trailer — the driver may be partially at fault for the accident. Vehicles parked on shoulders and similar areas significantly contribute to accidents resulting in injury and even death, and they’re often preventable. The Federal Motor Carrier Safety Regulations (FMCSR) prohibit non-emergency stops due to the severe hazard they present to commercial motor vehicle drivers and other motorists. Non-emergency situations are not an excuse for stopping on the shoulder of the highway. Truckers in need of rest, especially in the early morning hours, might use the shoulder as an alternative to finding a rest area or truck stop. That is not a valid reason to pull onto the shoulder. Trucking companies should assist drivers in finding safe parking areas. Studies indicate that commercial vehicles were involved in the majority of crashes involving vehicles parked on shoulders and that they occurred primarily between midnight and 6 a.m.
Use your hazard and warning flashers: Immediately turn on your hazard warning signal flashers and leave them on until the necessary warning devices (see below) are in place. One at 40 paces (approximately 30 meters or 100 feet) from the stopped commercial motor vehicle in the center of the traffic lane or shoulder occupied by the commercial motor vehicle and in the direction away from approaching traffic. Trucking companies, their insurance providers and aggressive defense lawyers are not “required to compensate you after an accident, even if the semi truck was parked illegally. Many people are surprised to find out that even if the investigation finds that the trucker was responsible for the accident that hurt you or took your loved one, there is no automatic payment system in place. The trucking company is not required to pay you and your family for damages. Through the legal process, you must force them to pay you. Hiring an experienced semi truck accident attorney is often the best decision victims and their families make after these events. You will encounter incredibly powerful opposition that will work feverishly to either make sure you get as little as possible for the suffering you have experienced, or you get nothing at all. Have someone on your side fighting for you. 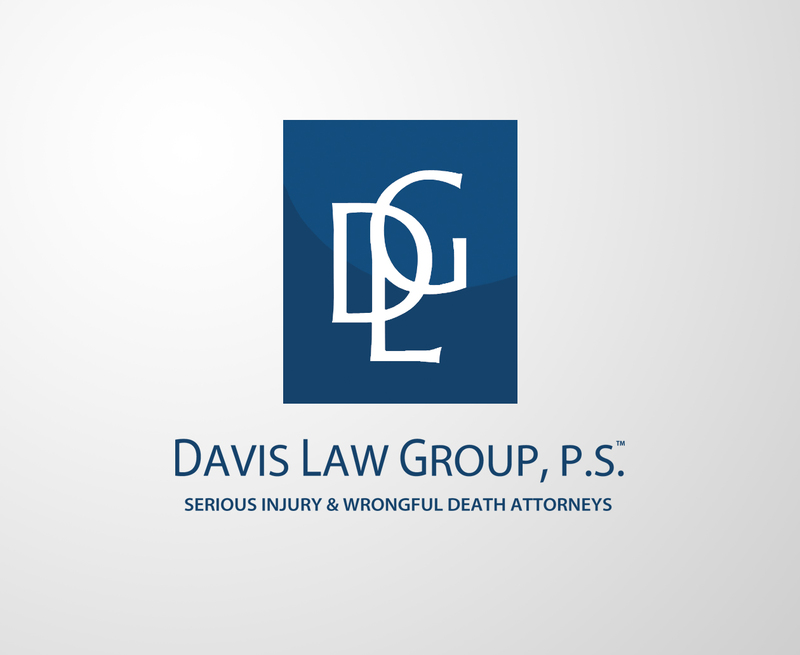 Contact Davis Law Group today for a confidential and free case evaluation. We will walk you through all the aspects of your case, give you our honest opinion of the strengths and weaknesses of your claim, and let you know how we may be able to help. Call (206) 727-4000, use the chat feature below or fill out the form on this page to get started.